Thousands of Syrians escaping the war back home have snuck into the European Union in the past year. Many brave the treacherous Aegean-Sea route from Turkey into Greece. Once there, asylum is nearly impossible to obtain. WSJ’s Matina Stevis reports. While the vast majority of the million-plus Syrians who have fled their country’s war are amassing in neighboring nations, a smaller number of often wealthier refugees have aimed to reach Europe’s northern states, where chances for asylum are relatively good. Those who have entered through Greece, Europe’s most porous eastern entry point, have found a harsher welcome. Greek authorities can detain asylum seekers for up to 18 months while officials process their applications—a situation human-rights groups liken to the treatment of criminals. 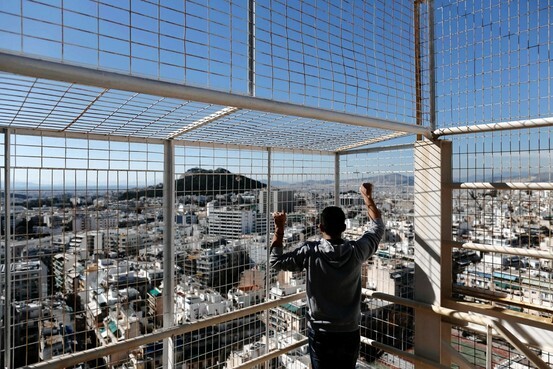 In 2012, no Syrians were granted asylum in Greece, the European Commission said. Most Syrian refugees in the country instead join the thousands of other migrants who struggle to find work in a sinking economy while attempting to avoid coming to the attention of both officials and anti-migrant extremists. Over the past year, 6,500 Syrians were detected crossing into Greece illegally—about six times the level of the previous year—according to Frontex, the European Union border agency. More still went undetected, say Greek officials. An additional 1,500 were found living in Greece without the necessary permits. An increasing number are attempting to enter by sea from Turkey’s Aegean coast, meanwhile, after Athens erected a 10-kilometer (7-mile) “security fence” along the porous northern section of the Turkish border. Smugglers crowd migrants onto flimsy plastic or inflatable boats, often offering one of them a discount to pilot the craft, according to the Hellenic coast guard. While the distance between Turkey and the border Greek islands around here can be as short as a few miles, local currents and winter storms can be vicious. Journeys are usually made at night. Since November, more than 100 migrants have drowned and at least a dozen bodies of Syrians have washed up on north Aegean islands, according to coast guard estimates. Most of the Syrian migrants plan to leave Greece for Northern Europe. More than 90% of the 17,300 Syrians applying for asylum in Germany and Sweden in 2012 were successful, according to the United Nations High Commissioner for Refugees and the European Commission. With the chance of gaining asylum in Greece seen as nearly zero, few Syrians even try: Only 255 of the 8,000 who were found entering or illegally residing in Greece lodged asylum applications, according to UNHCR. The EC has repeatedly called Greece the weakest link in the bloc’s passport-free travel zone, the Schengen area, criticizing both the country’s porous borders and its poor treatment of refugees. The EC has funneled $310 million to Athens over the past two years to improve border controls, build migrant reception centers and hire specialists to handle asylum applications, making Greece one of the top three EU fund recipients for migration alongside Italy and Spain. In January, the UNHCR says it sent a personal letter to Greek Public Order Minister Nikos Dendias urging Greece to provide Syrians the protection they are entitled to under international and EU accords protecting refugees’ rights that Greece has signed. Mr. Dendias’s office declined to comment. Mr. Simo, the Syrian web designer, believed the trip would be worth the risk. He was finishing a master’s degree in Malaysia, he said, when regime rockets flattened his family home in Aleppo. While some family members fled to sprawling refugee camps just over Syria’s border, Mr. Simo saw a brighter future in Europe. “The refugee camp is like a big jail,” he said. He and two family members traveled to Turkey’s western coast, where they paid smugglers €1,200 ($1,560) each for a spot on a boat he said was no longer than four or five meters (12 to 15 feet). He said it carried more than 20 migrants, mostly Afghans and Somalis. The boat began taking on water, he said. Their Turkish smuggler ordered them to throw most of their belongings overboard. Four hours after setting off, they reached shore on this island of olive groves and tourist inns, where they were soon rounded up by police. After five days in the Lesvos holding pen, Mr. Simo was released and given a paper in Greek stating he had 30 days to opt for a voluntary return to his country, for which Greece would pay. That is standard practice for illegal migrants. But even if Mr. Simo wanted to return to Aleppo, he couldn’t: Returns are organized with migrants’ embassies in Athens, and Syria’s mission is closed. Hoping to join the many Syrians planning to get to Sweden as soon as possible to apply for asylum, he has arranged to pay a smuggler €6,000 for a fake passport to travel by air to Stockholm. 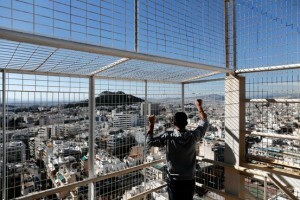 For now, he is waiting in Athens, adding to the number of Syrians attempting to escape notice there. Among them is Jihan Ahmad, a 43-year-old housewife from the northern Syrian city of Al-Qamishli, who has been sleeping on dirty blankets in a single room in Athens with her five children, ages 4 to 17, since arriving six months ago. Her husband was supposed to follow with her youngest daughter, but was detained by government security forces and hasn’t been heard from since January. With little money, Mrs. Ahmad and her 17-year-old daughter, Alav, often forage amid the rotten unsold produce at open-air vegetable markets in downtown Athens. On the street, they are verbally abused. They live in fear, they say, of being attacked by members of Golden Dawn, the increasingly popular Greek far-right party accused of promoting vigilante violence against migrants.